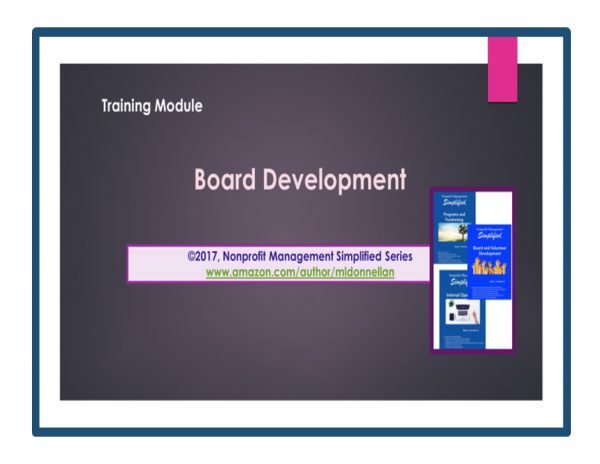 This field-tested module is an inexpensive but practical way for consultants, associations of nonprofits and small nonprofits to implement a thorough board training process. 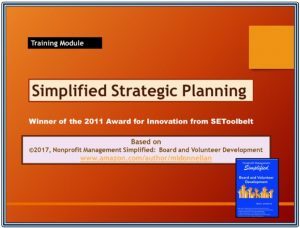 Looking for a great tool to help with board orientation? This field-tested training module provides you with everything you need to train board and staff on every aspect of board responsibilities and staff relationships with the board. 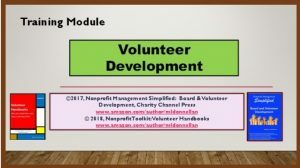 A companion to the book, Nonprofit Management Simplified: Board and Volunteer Developmentunteer Development, the module includes a PowerPoint, instructor notes and sample handouts. 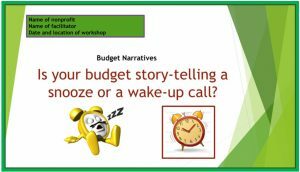 The agenda covers everything from legal governance to how to conduct effective meetings. 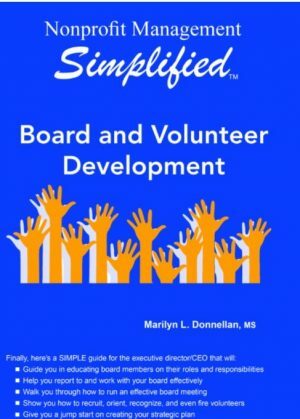 This is an ideal tool to use repeatedly with new board members or to remind existing board members of their responsibilities. The module is downloadable.